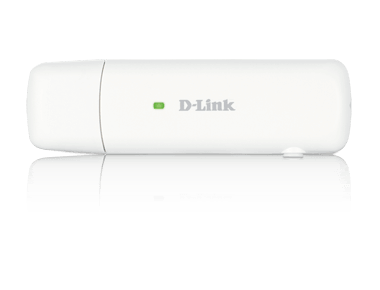 D-link is a international brand of modem, router and portable MiFi. Manufacturers’ another product “DWM-156 HSUPA 3.75G USB Wireless Adapter” has got listed in e-commerce online website shopclues with a tag price Rs 1339. According to the manufacturer, the DWM-156 plug and play device, supports 3.75G mobile protocol, lets you take your broadband connection with you wherever you go. The global mobile broadband comes with built-in drivers and software, provide immediate access to data and SMS functions. The DWM-156 comes in USB form and supports USB 2.0 or higher. The DWM-156 is built for work with Windows XP/VISTA /7 or Mac OS X 10.4.0+. The adapter needs Intel or AMD CPU 500 MHz or higher, alongside 128 MB RAM or greater, with 50 MB available disk space to perform in Internet Explorer v6.0+/Firefox v1.5+. The DWM-156 features GSM/GPRS/EDGE : 850/900/1800/1900 MHz and UMTS/HSUPA : 850/1900/2100 MHz or 900/1900/2100 MHz frequency bands. The D-link’s data card comes with internal monopole antenna, able to provide 7.2 Mbps maximum download speed in HSDPA or 5.76 Mbps upload speed in HSUPA network. The DWM-156 sports a standard 6-Pin SIM card interface, alongside two-color LED to provide status information. The modem also boasts a standard MicroSD card slot, upgradable up to 32 GB via an external microSD card. Measuring the Dlink DWM-156, its dimension is 85 x 25 x 11 mm (3.4 x 1 x 0.5 inches); can be operated in -10 ˚C to 60 ˚C (14 ˚F to 140 ˚F) temperature.